Join leaders from Grambling State, AT&T, and the Grambling University foundation to celebrate the start of 2018 Bring it Home campaign. Network and celebrate contributions of our 2018 lead corporate and alumni donors who have already donated to help us beat last year’s $1.2 million record. 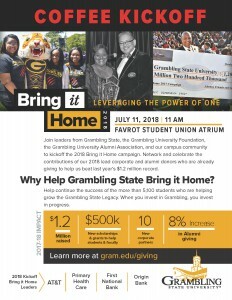 Why Help Grambling State Bring it Home? 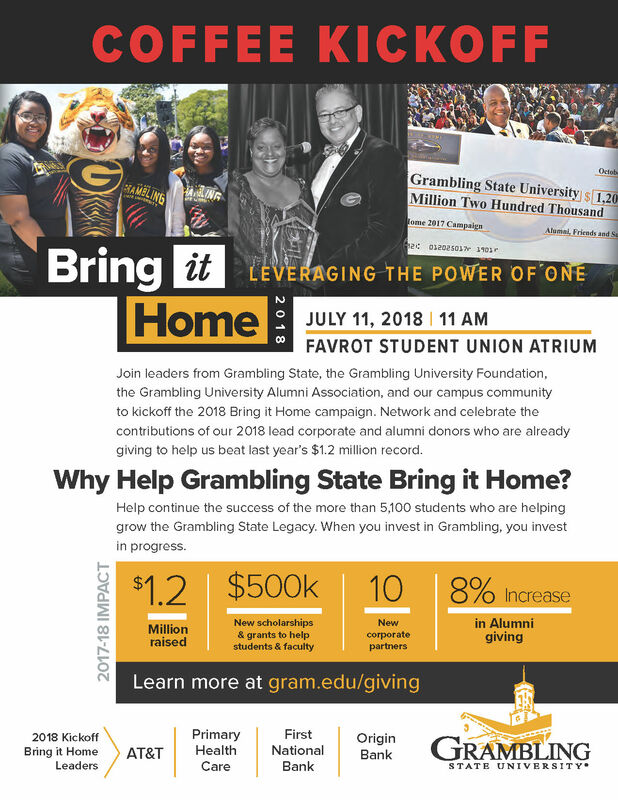 Help continue the success of the more than 5,100 students who are helping grow the Grambling State Legacy. When you invest in Grambling, you invest in progress.